Hiring Managers and specialists from a variety of employers come to campus every week! Dates and details can be found under Tri-C Events Calendar under "On Campus Recruiting, a Hiring Event." 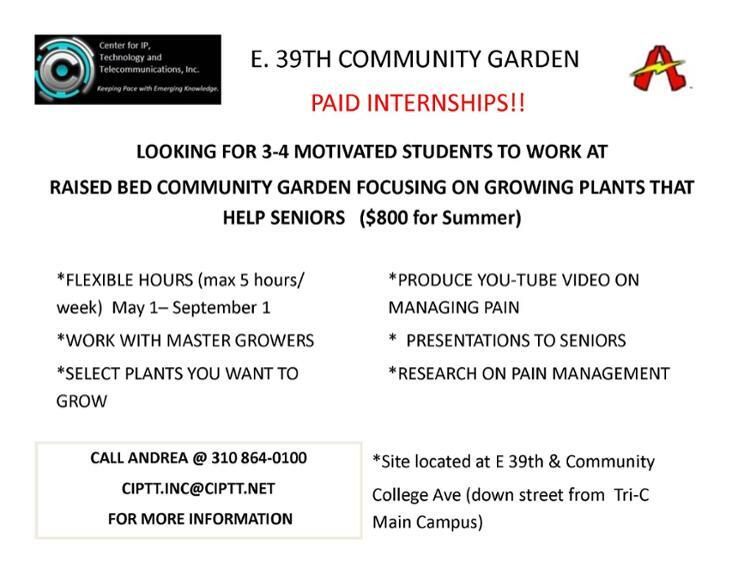 Many wonderful internship opportunities exist throughout NE Ohio. The following are just a few opportunities”. We strongly recommend you to work with our Career Center to prepare for your job search whether you are exploring internship, part-time or full-time opportunities. Please take advantage of available workshops designed for you to be prepared for the working world.